Also referred to as ISFJ, ISTJ, ISxJ, ISJ, or Introverted Sensor personality. 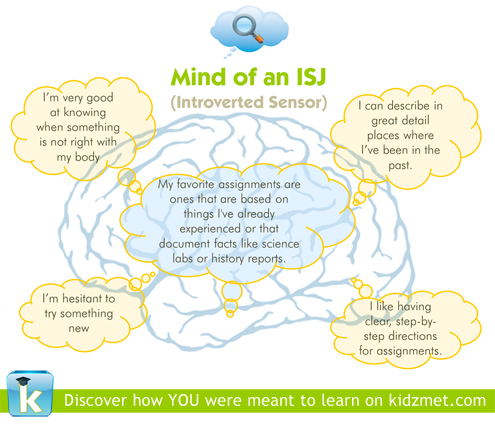 The ISJ personality type for kids is indicative of incredible powers of concentration. ISJ kids love to have plenty of time to work independently in a logical way—just like the ISFJ and ISTJ adults they grow-up to be. Often risk-averse, they prefer not to experiment and prefer situations where A + B always equals C. ISJ personality types love rules and explicit objectives. The opposite of procrastinators, these kids like to have adequate time to prepare for and reach their goals. Natural students, these kids thrive in traditional structured environments where their meticulous attention to detail and natural propensity toward organization is valued—even if it’s behind the scenes. Very private people, ISJ personality types are cautious and reserved and abhor being the center of attention. (Sound familiar, ISFJ and ISTJ parents?) They can get nervous and anxious if they are presented with situations or problems that they don’t already know how to think about or solve. For this reason, classes that are open-ended or objectively assessed may not be great fits for these kids. Given their introverted nature, it’s best to enroll kids with an ISJ personality type in 1:1 teacher to student classes or with small teacher to student ratios. These kids will often gravitate toward music classes or computer programming. Spelling bees are also often favorites of the ISJ personality type. If you prefer to engage your child in a larger group environment, perhaps consider an orchestra or chorus, where all the kids involved are working toward the same, clearly defined goal. Because of their desire for stability, rules and routine, you’ll often find that kids with ISJ personality types will continue with a certain type of classes over a period of many years, continually setting and achieving higher and higher goals for themselves along a knowledge ladder. Though introverted, these kids have a strong need to feel like a part of a larger community. As a result, “behind the scenes” work is often a good fit. Cooking classes supplemented by baking cupcakes for a school bake sale is a good example of how to make both sides of this particular personality type‘s nature flourish. 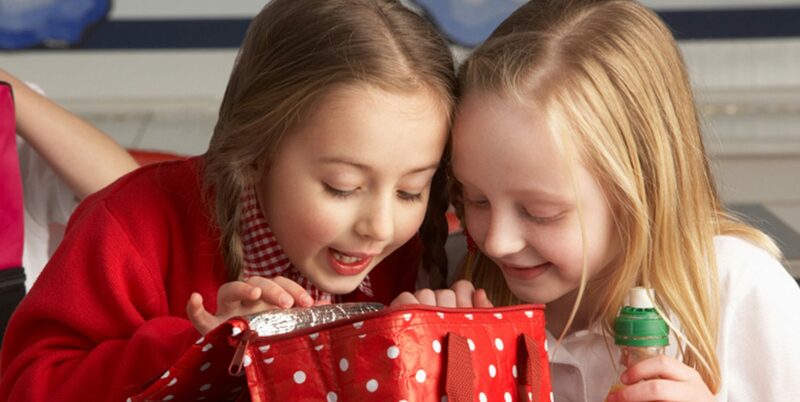 Musical children with an ISJ personality type do well studying an instrument for their own enjoyment, without having to perform in front of an audience. (Although they do well learning, and then recording their songs, then giving them as gifts to their families for the birthdays and holidays.) They do not do well performing solos, but are usually fine performing in a group like in a band or orchestra environment. Kids with ISJ personality types love to play instruments that can be played independently, without having to rely on other musicians. They love having their instruments in their rooms, so they can go to them and play when they are feeling stressed. It is important that they are never, ever, pressured to perform. Parents may mean well, but this can have a particularly negative impact on this personality type. Ever respectful of rules, guidelines, and consistency, the teachers of children with an ISJ personality type who adhere to a stated course curriculum, and start and end classes on time, are often favorites.